The Dallas Cowboys trudged through their fifth and final pre-season game Thursday night before a relatively scant crowd at Jerry’s Palace. Still, the virtually starter-free 24-6 loss to Houston had more than enough juice to dominate the prime-time Nielsens. Grinding to a close at 9:59 p.m. on CBS11, the game averaged 364,823 D-FW viewers. That’s better than the crowds for Games 2 and 3, even though the audience steadily dwindled from 413,052 viewers in the 8:45 to 9 p.m. segment to 275,368 for the closing minutes. The strongest ratings performer opposite the Cowboys, a two-hour episode of ABC’s Motive from 7 to 9 p.m., drew a pretty sturdy 165,221 viewers. Although its performance falters among younger viewers, Motive now looks like a keeper for next summer -- or perhaps even earlier than that. ESPN’s pair of season-opening college football games were no match for the meaningless Cowboys-Texans encounter. South Carolina and North Carolina averaged 103,263 viewers before the higher-scoring and far more competitive Mississippi-Vanderbilt matchup perked up a bit to 117,031 viewers. CBS’ usually potent Big Brother drooped when sent to CBS11’s sister station, TXA21. BB had 103,263 viewers in the 8 p.m. hour to finish third in total viewers. It moved up to second place, behind the Cowboys, among advertiser-prized 18-to-49-year-olds. In Thursday’s local news derby results, WFAA8 bucked CBS11’s strong lead-in advantage from the Cowboys to win at 10 p.m. in both total viewers and 25-to-54-year-olds (the main advertiser target audience for news programming). Fox4 likewise ran the table at 6 a.m. and added 5 and 6 p.m. firsts in the 25-to-54 demographic. WFAA8 had the most total viewers at 6 p.m. while tying Fox4 and NBC5 for the top spot at 5 p.m. CBS11’s regular 6 p.m. newscast was rubbed out by a Cowboys pre-game show. Unclebarky.com appears to have recovered from a busted fan belt -- afflicting the computer not the proprietor -- and is up and running again. We catch up on three days worth of D-FW Nielsen ratings by spotlighting a show that just keeps rolling along. That would be CBS11’s 6:30 p.m. editions of the syndicated Wheel of Fortune, which was this viewing area’s most-watched TV show on both Tuesday and Wednesday while running second only to CBS’ Under the Dome on Monday. That’s pretty remarkable, considering that the show is 2,189 years old and was dumped by WFAA8 back in September of 2005 after an 18-year run at that station. The rationale: WFAA8 management wanted to draw a younger audience and felt that Entertainment Tonight (which had been airing in late night) would click better with advertiser-prized 18-to-49-year-olds. There’s something to be said for tonnage, too, though, particularly in a time slot following local 6 p.m. newscasts that generally draw older audiences. For years, some of those viewers have been “warming up” their TV sets for Wheel before the 6 p.m. newscast ends. And that helps the second halves of 6 p.m. newscasts, with CBS11 the beneficiary for the past eight years. Wednesday’s Wheel drew 227,170 total viewers, with NBC’s 8 p.m. edition of America’s Got Talent the runner-up with 199,642 viewers. Among 18-to-49-year-olds, Wheel won its 6:30 p.m. slot with 31,894, edging No. 2 ET (28,705). But Wheel had close to twice as many total viewers as ET. Wheel also was Tuesday’s overall top draw -- in daytime or nighttime hours -- with 240,947 total viewers. ET had 110,247 viewers but outdrew Wheel by a score of 44,652 to 22,326 in the 18-to-49 demographic. On Monday, Wheel’s 199,642 total viewers ran second to Under the Dome’s 227,179. And in the 18-to-49 measurement, Wheel nipped ET at 6:30 p.m. by 25,515 viewers to 24,239. Wheel’s percentage of 18-to-49-year-old viewers remains minimal. Still, it’s enough to remain competitive with ET while the total viewer Nielsens are no contest on night after night after night. The aging stars of Wheel, Pat Sajak and Vanna White, presumably have conquered their fears of HD, which were expressed to unclebarky.com just before Wheel’s transition to sharper focus in 2006. And in a very crowded TV universe, the show remains a ratings juggernaut that has improved CBS11’s competitive position in the 6 p.m. newscast competitions. The station has run first in total viewers at that hour for three straight ratings sweeps periods (November, February and May). ***In other ratings news, the Texas Rangers’ three-game road sweep of the Mariners suffered from two late night starts and Wednesday’s afternoon game. All of the games were on Fox Sports Southwest, with Tuesday’s elongated extra inning win averaging the biggest overall crowd of 151,452 viewers. Wednesday’s afternoon game clocked in at 103,263 viewers while the Monday night game had 144,568. Those are smallish totals for the first-place Rangers. Games with earlier nighttime starts -- particularly home games -- generally score in the 200,000 viewers vicinity and beyond. Also in the sports genre, ESPN2’s Monday 10 p.m. premiere of Olbermann drew a sub-scant 688 viewers before the Tuesday edition perked up to 6,884. Ratings for Wednesday’s Olbermann were not immediately available after the show was switched from ESPN2 to ESPN News to accommodate a U.S. Open tennis over-run. Monday -- WFAA8 had dominant wins at 10 p.m. in both total viewers and 25-to-54-year-olds, the main advertiser target audience for news programming. Fox4 swept the 6 a.m. competitions, with WFAA8 a close second in both measurements. WFAA8 had the most total viewers at 6 p.m. and tied with Fox4 for the top spot among 25-to-54-year-olds. There were more ties at 5 p.m., with Fox4, WFAA8 and CBS11 sharing the total viewers gold while Fox4 and WFAA8 were tops with 25-to-54-year-olds. Tuesday -- Fox4 had a big day in the 25-to-54 demographic, winning at 6 a.m. and 5, 6 and 10 p.m. while adding a total viewer gold at 6 a.m.
CBS11 had the most total viewers at 10 p.m.; WFAA8 ran first in that measurement at both 5 and 6 p.m.
Wednesday -- It was WFAA8’s turn to roar. The station ran the table at 5, 6 and 10 p.m. with wins in both total viewers and 25-to-54-year-olds. Fox4 stayed strong at 6 a.m. with another sweep. Fox4 was the only major D-FW TV news provider not to carry President Obama’s Wednesday afternoon speech on the 50th anniversary of the Rev. Martin Luther King’s famed “I Have a Dream” oratory. Obama delivered his speech from the same spot that King did. NBC5, WFAA8 and CBS11 all carried it live, as did CNN, Fox News Channel and MSNBC. Fox4 opted to stick with Divorce Court and a smidgen of the following Judge Alex before the president ended his remarks at 2:34 p.m.
***Nothing apparently has been decided yet, but sources say that Indianapolis anchor/reporter Jenny Anchondo was interviewed at Fox4 this week for a possible position with the Dallas-based station. 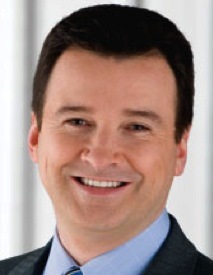 Anchondo currently anchors the 4 to 6 a.m. weekday newscasts and also reports for WXIN-TV (Fox 59). She joined the station in 2010 from KOLD-TV in Tucson, Arizona. Fox4 has a policy of not commenting on potential hires. The Dallas Cowboys’ home win against Cincinnati Saturday night in Game 4 of the pre-season put on some ratings weight compared to the last two. A 24-18 win on CBS11 averaged 447,473 total viewers, a nice bounce from the 347,653 who watched the previous Saturday afternoon’s road loss at Arizona. The so-called “dress rehearsal” game fell well short of the 695,304 viewers for this summer’s pre-season opener against Miami on NBC. But it drew in excess of 100,000 more viewers than last year’s Game 4 of the pre-season, which had 338,705 opposite a portion of the Republican National Convention. The 2012 Game 4, also against Miami, wasn’t the dress rehearsal, though. The Cowboys mostly played their reserves in the final tune-up before the regular season. Because of the Hall of Fame game, Dallas is playing five pre-season contests this summer. This Thursday’s finale, at home against Houston on CBS11, will be dominated by second- third- and 25th-stringers. Playing opposite the Cowboys Saturday night on Fox Sports Southwest, the first-place Texas Rangers’ 3-2 loss to the White Sox drew a decent-sized 165,221 viewers. Sunday afternoon’s Rangers loss got less attention with 123,916 viewers. AMC’s new 8 p.m. Sunday episode of Breaking Bad held strong with 178,989 total viewers and 133,955 in the advertiser-prized 18-to-49 demographic. That’s a super-sized percentage. The network’s following Low Winter Sun then bottomed out again with respective totals of 20,653 and 12,758 viewers. The Friday night Rangers rout of the White Sox had the team’s strongest numbers of the weekend, averaging 234,063 viewers on TXA21. That was good enough to beat the competing Green Bay Packers-Seattle Seahawks pre-season game on CBS, which ranked No. 2 for the night with 151,452 viewers. Both CBS11 and TXA21 are still being blacked out in D-FW by Time Warner cable in its ongoing dispute with the CBS network. The shutdown affects roughly 400,000 subscribers in this viewing area. WFAA8 swept the 10 p.m. Nielsens in both total viewers and 25-to-54-year-olds, the main advertiser target audience for news programming. Fox4 did likewise at 6 a.m.
CBS11 had the most total viewers at both 5 and 6 p.m. while WFAA8 was tops those hours with 25-to-54-year-olds. BEVERLY HILLS, CA -- Their stay will be longer than ever, but only after the wilting summer sun has gone on vacation. 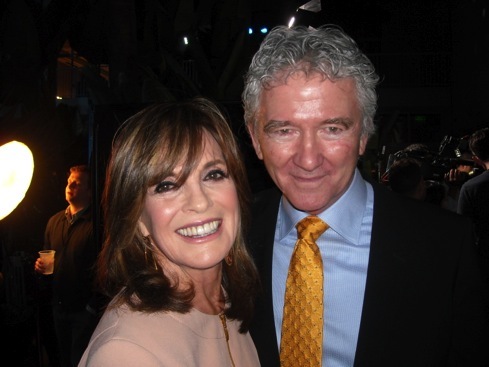 Led by charter surviving cast members Patrick Duffy and Linda Gray, TNT’s Dallas returns to Dallas in early October for a planned six-month shooting schedule that one-ups the previous year’s by a month, according to Duffy. “It’s good for both my economy and Dallas’s economy,” he says during an interview at TNT’s poolside 25th anniversary party. The cast of Dallas is out in force, a mix of the good, the bad and the in-between. But Duffy and Gray are now the preeminent torch-bearers after Larry Hagman’s death in Dallas during filming last November. All three were there at the creation when Dallas premiered on April 2, 1978. Initially a limited-run spring tryout series, the CBS original ran all the way until 1991. In its formative seasons, the cast would endure Dallas’ hottest months of the year for several months of location shooting. No more. And that was a demand, not a request, when TNT decided to resurrect prime-time’s all-time most successful serial drama with a 10-episode Season 1 that TNT launched on June 13, 2012. Initially strong ratings prompted TNT to quickly renew Dallas for a Season 2 while also upping the episode order to 15. But Hagman’s death, coupled with a significant ratings sag for the episodes that had already aired, made a Season 3 doubly iffy. The show’s head producers, Cynthia Cidre and Michael M. Robin, were forced to hastily re-imagine a Dallas without J.R.Ewing. The 2.99 million viewers for the Season 2 finale were down considerably from the 4.29 million for Season 1’s closer. But the second season premiere had a virtually identical 2.98 million viewers, meaning that Dallas at least had held firm during the course of constructing a mystery around J.R.’s shooting death. In the end, his demise had a twist, of course. 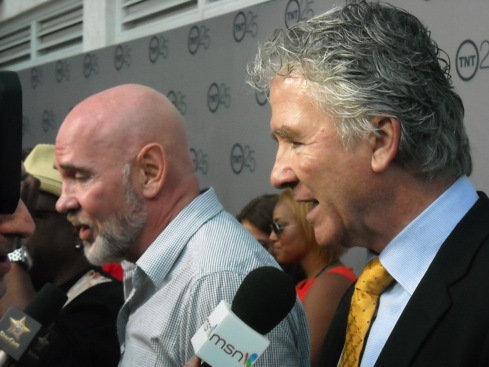 Side by side on the red carpet: Duffy and Mitch Pileggi, the actor who plays Bobby Ewing’s arch nemesis, Harris Ryland, on TNT’s Dallas. Duffy and Gray last saw Hagman in a Dallas hospital on the day before he died at age 81 of complications from leukemia. Gray, who plays J.R.’s ex-wife, Sue Ellen, had perhaps her signature Dallas scene during a graveside episode sub-titled “J.R.’s Masterpiece.” She movingly read a letter that her old antagonist left behind for her. J.R. and Sue Ellen had pretty much settled their differences -- for a few episodes at least -- before Hagman took the character to the grave with him. Gray and Duffy already have their appointed condos for the six-month shoot in Dallas, with a brief break for Christmas factored in. Gray takes her cat with her and Skypes with her two grandchildren. Both regularly fly back to the West Coast on weekends. Hagman’s death will make filming a little less merrier. He was always a notorious practical joker, often in league with Duffy. But the show’s writers no doubt will reference J.R. throughout a 15-episode Season 3, which is scheduled to premiere early next year. Foul deeds from the distant past are seldom without his stamp. BB king. Again bucking the Time Warner blackout, CBS’ 8 p.m. episode of Big Brother led Thursday’s prime-time parade in the two key ratings measurements. BB drew the most D-FW viewers (185,873) and also ran first with advertiser-prized 18-to-49-year-olds (95,682 of ‘em). CBS’ 7 to 8 p.m. sitcom reruns -- The Big Bang Theory and Two and a Half Men -- drew smaller crowds but likewise won their time slots. And ABC entered the winner’s circle by sweeping the 9 p.m. Nielsens with Rookie Blue, even though it had fewer total viewers than the network’s preceding Motive (a solid 144,568 opposite BB). Over on ESPN, the pre-season NFL game between Carolina and Baltimore drew a smallish 82,610 total viewers. In Thursday’s local news derby results, WFAA8 remained strong at 10 p.m. with wins in both total viewers and 25-to-54-year-olds, the main advertiser target audience for news programming. The station also won at 5 and 6 p.m. in total viewers. Fox4 ran the table at 6 a.m. and NBC5 took the top spots at 5 and 6 p.m. in the 25-to-54 demographic. Saturday night’s “dress rehearsal” Cowboys-Bengals game, in which most starters traditionally play the entire first half, will be without a live Spanish language outlet in D-FW. Telemundo 39 director of marketing Arturo Sobarzo said Thursday via email that the station “was not cleared to air this game live.” Instead, Telemundo 39 will rebroadcast the game at 10 p.m., again leaving CBS11 as the only live option for the viewing area’s roughly 400,000 Time Warner cable homes. Both CBS11 and its sister station, TXA21, continue to be blacked out by TWC in a rights fees dispute that has now lasted nearly three weeks. The game against Cincinnati starts at 7 p.m., and is the first of this year’s pre-season games to originate from Jerry’s Palace in Arlington. Last week’s 12-7 loss in Arizona was shown live by both CBS11 and Telemundo 39, which belatedly received the go-ahead from corporate headquarters, Sobarzo said. So far it’s the only pre-season game to be carried live in D-FW by a station other than CBS11 or NBC5, which earlier had the annual Hall of Fame game. 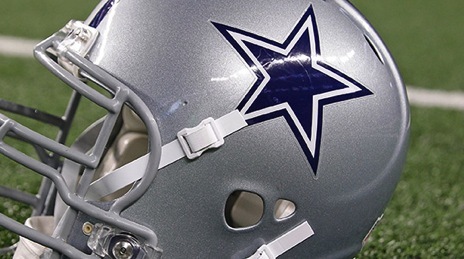 CBS11 also has the final Cowboys pre-season game, at home against the Houston Texans. The Cowboys’ pre-season ratings have been substantially down from last year’s. The game against Arizona drew 330,442 D-FW viewers on CBS11 and another 17,211 on Telemundo 39, according to Nielsen Media Research. The total of 347,653 was more than 225,000 fewer than the 582,573 viewers for Game 3 of the 2012 pre-season. The Time Warner standoff stands in sharp contrast to the No. 1-rated network’s dealings with Verizon Fios, which has just inked a new three-year deal with CBS and Showtime (which also is being blacked out in Time Warner homes). Time Warner and Verizon Fios both have the bulk of their customers in three major markets in which CBS has owned and operated stations -- D-FW, New York and Los Angeles. According to CBS, the majority of Verizon Fios’ 5 million subscribers live in these markets. Time Warner’s customer load is about 3.2 million in D-FW, New York and L.A.
Only CBS’ owned-and-operated stations are affected by the blackout, with network affiliates outside of D-FW still showing CBS programming in Time Warner homes. Most observers, including your friendly content provider, never thought it would come to any sort of blackout. Now most observers expect CBS and Time Warner to settle their differences before the early September start of the NFL season. As time marches on, though, CBS may be able to demand even higher fees from a battered Time Warner. The network’s current reported asking price of $2 per month per subscriber (up from a reported $1) perhaps could move north a few more dimes. After all, what leverage does TWC really have after both the NFL and the new fall TV season kick in? The correct answer is: None. Completing their three-game sweep of the Astros, the first-place Texas Rangers likewise swept Wednesday night’s Nielsen ratings in total D-FW viewers. The game on Fox Sports Southwest averaged 234,063 viewers in whipping new hours of CBS’ Big Brother (158,337 viewers at 7 p.m.) and NBC’s America’s Got Talent (151,452 viewers at 8 p.m.). The only ratings dent in the long-lasting game, which ran a bit past 10:30 p.m., was a win by Big Brother among advertiser-prized 18-to-49-year-olds. The Rangers otherwise also swept the field in that key measurement. WFAA8 had the most total viewers at 10 p.m., but Fox4 ran first with 25-to-54-year-olds, the main advertiser target audience for news programming. Fox4 also scored twin wins at 6 a.m. and added a 5 p.m. gold with 25-to-54-year-olds. WFAA8 was tops in total viewers at 5 p.m. 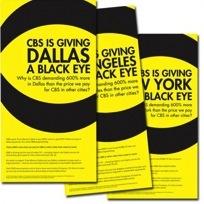 The 6 p.m. firsts were split between CBS11 in total viewers and WFAA8 in the 25-to-54 demographic. The Texas Rangers’ comeback home win over Houston Tuesday night also scored the biggest prime-time ratings. Fox Sports Southwest again profited, with an average of 234,063 viewers tuning in. That easily beat NBC’s two-hour edition of America’s Got Talent, which had 172,105 viewers from 8 to 10 p.m.
Monday’s prime-time Nielsens were led by CBS’ new 9 p.m. episode of Under the Dome, which lured 254,715 viewers while Rangers-Astros were runners-up with 199,642 viewers. Monday -- WFAA8 bucked a big lead-in disadvantage from ABC’s Mistresses (just 48,289 viewers) to win at 10 p.m. in both total viewers and 25-to-54-year-olds, the main advertiser target audience for news programming. Fox4 likewise swept the 6 a.m. competitions while WFAA8 had doubleheader wins at both 5 and 6 p.m.
Tuesday -- WFAA8 again took both 10 p.m. golds and added a 6 p.m. sweep. The 6 a.m. wins were split between WFAA8 in total viewers and Fox4 among 25-to-54-year-olds. CBS11 had the most viewers at 5 p.m. while WFAA8 ran first in the 25-to-54 demographic. 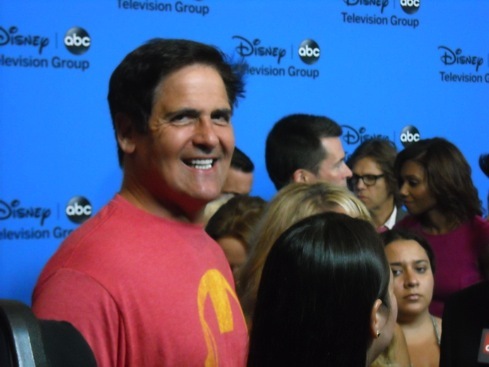 BEVERLY HILLS, CA -- Fresh from a family vacation and dressed for success in an Ironman t shirt from his three-year-old son, Mark Cuban is no longer a stranger in a strange land of ABC prime-time stars. Nine summers ago he gingerly walked the red carpet on behalf of The Benefactor, ABC’s short-lived knockoff of The Apprentice in which Cuban eventually doled out $1 million of the network’s hard-earned cash to a disease intervention specialist and aspiring model. He looked notably ill at ease on camera and also had to pretend being an almost fanatical devotee of the game Jenga, which Cuban later acknowledged he’d never played before. It’s much different now. ABC’s All-Star party on an early August night is held the day after Shark Tank was named the year’s best “reality” program by the Television Critics Association. On the following day, ABC announced a six-night Shark Tank Week (Sept. 8-13) in which each of the judges picks a personal favorite from the series, which also is nominated for an Emmy award. The show’s Season 5 premiere is scheduled for Friday, Sept. 20th. A profit picture has yet to materialize, though. “If they’re growing, I don’t want to take money out,” he says. 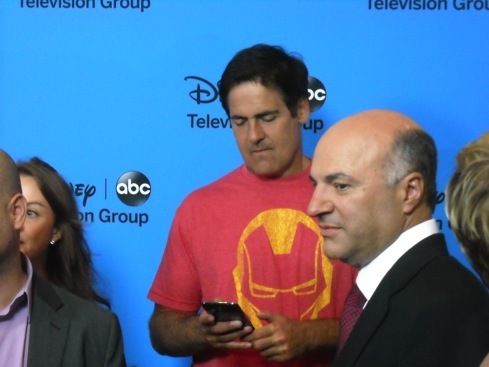 Still gotta check those cell phone messages, with Shark Tank colleague Kevin O’Leary in the foreground on ABC’s red carpet. The 55-year-old Dallas Mavericks owner and married father of three children came to prominence as an oft-fined NBA executive after buying the team in January of 2000. Now his Hollywood gamesmanship increasingly takes up more time, whether it’s tapings of Shark Tank, management of Magnolia Pictures and Landmark Theatres or his partnership with Ryan Seacrest and CBS among others in AXS TV. The ubiquitous Seacrest’s contracts with other networks prohibit him from being an on-camera personality with AXS. But Seacrest can and has used his Los Angeles radio show to promote AXS’s World’s Greatest Tribute Band series, which airs live on Monday nights from L.A.’s Roxy Theatre. AXS otherwise is developing a classic rock series and a “behind the scenes” music show hosted by Carson Daly while also talking with Billboard and Rolling Stone magazine about other projects. “And we’ll just keep cranking out concerts. Because there’s nobody doing them at all,” Cuban says, noting that May’s three-day presentation of New Orleans’ annual Jazz Fest hit the one million viewer mark for the first time on the still fledgling AXS. But as Mavericks training camp nears, new season tapings for Shark Tank also are on the horizon. They resume in September. And Cuban once again will be all in. 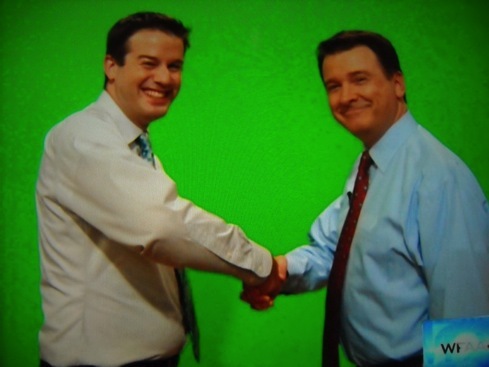 Veteran forecaster Steve McCauley signed off on Sunday’s 10 p.m. WFAA8 newscast after a 13-year-tenure at the station. WFAA8 also used the occasion to introduce boyish-faced newcomer Ashton Altieri, who will succeed McCauley on weekend nighttime newscasts as well as filling in when needed. McCauley took Altieri to weather school in a pre-taped bit in which the kid learned to “punch through The Cap” among other niceties. The Cap became McCauley’s calling card during his animated, info-jammed weather segments. It’s your pal when it prevents severe storms from forming, but breakage can cause major problems. McCauley is leaving WFAA8, which he joined in March 2000, to work full-time on his Ph.D. His last scheduled on-air weathercast for the station was seen by 192,758 D-FW viewers Sunday according to data from Nielsen Media Research. That was easily enough to win the 10:15 to 10:30 p.m. time slot. WFAA8 says that McCauley will continue to provide information for the station’s “digital platforms,” including Twitter and Facebook. But as his last forecast fades from memory, here’s his explanation of “The Cap,” courtesy of a 2009 video from wfaa.com. The Dallas Cowboys’ turnover-pocked loss to Arizona drew a little more interest in D-FW than the previous loss to Oakland. Still, pre-season interest in the team remains substantially down from last year, with the Time Warner blackout no doubt something of a factor but not solely responsible. The Cowboys’ 12-7 loss at Arizona, which ran from 3:37 to 6:38 p.m. Saturday, averaged 330,442 D-FW viewers on CBS11 and tacked on another 17,211 for Telemundo 39’s Spanish language telecast. The total of 347,653 is up from Game 2’s crowd of 316,673 but a sharp drop-off from the 582,573 viewers for Game 3 of the 2012 pre-season. Later Saturday, the Texas Rangers’ 15-3 home win over Seattle on Fox Sports Southwest drew 206,526 viewers. Sunday afternoon’s Rangers loss on FSS also pulled in 206,526 viewers. The Rangers’ Friday night loss on TXA21 (also blacked out in the area’s roughly 400,000 Time Warner homes) averaged 213,410 viewers. That was enough to beat Fox’s competing New England Patriots-Tampa Bay Buccaneers pre-season game, which had 144,568 viewers. Sunday night’s Big Brother episode on CBS had 185,873 viewers, the best prime-time showing for any single program. But BB was nipped by the competing 7 to 8 p.m. portion of Fox’s Colts-Giants pre-season game, which had 192,758 viewers. The game’s overall average was 172,105 viewers. Over on AMC, a new 8 p.m. episode of Breaking Bad drew 178,989 viewers, with a highly impressive 133,955 within the advertiser-prized 18-to-49-year-old motherlode. The following second episode of AMC’s Low Winter Sun free-fell to 27,537 total viewers and 15,947 in the 18-to-49 demographic. AMC’s 10 p.m. Talking Bad then jumped up to 55,074 total viewers with 31,894 of them 18-to-49-year-olds. These are virtually certain signs that Low Winter Sun will be setting permanently after Season 1. WFAA8 won a downsized 10 p.m. competition (Fox4 had a football over-run) in both total viewers and 25-to-54-year-olds, the main advertiser target audience for news programming. WFAA8 also swept the 6 a.m. Nielsens by twice beating usual kingpin Fox4. Fox4 had the 5 and 6 p.m. wins in the 25-to-54 demographic. 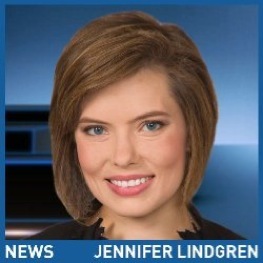 NBC5 had the most total viewers at 5 p.m. and CBS11 won in that measurement at 6 p.m.
Jennifer Lindgren, a “multimedia journalist” at Cleveland’s WKYC-TV since August 2010, is coming to D-FW to both get married and join CBS11’s reporting staff. Lindgren grew up in Dallas and is engaged to a Texas A&M alum. She also has worked for stations in Jacksonville, FL and Columbia, SC after getting her start at KXII-TV in Sherman, TX. Also joining WKYC’s farewell to Lindgren Friday night was co-anchor Russ Mitchell, the former CBS network reporter who worked in D-FW at WFAA8 from 1983 to ’85. Hola! Time Warner cable subscribers facing another blackout of Saturday afternoon’s Dallas Cowboys game on CBS11 now have another TV alternative. Telemundo 39 (D-FW’s KXTX-TV) belatedly has received permission from the Spanish language station’s corporate offices to carry the Cowboys-Arizona Cardinals game live instead of on tape-delay, the station’s director of marketing, Arturo Sobarzo, said Friday. The word came late Thursday afternoon, he said. Cowboys-Cardinals, which starts at 3:30 p.m., will still be blacked out in D-FW on the NFL Network, as was last week’s game against the Oakland Raiders. Telemundo 39 began its tape-delayed coverage of Cowboys-Raiders at 10:35 p.m., roughly 95 minutes after its start time on CBS11. But Time Warner subscribers without access to CBS11 now will able to watch the game at Arizona in real time. Sobarzo said Telemundo 39’s Spanish language play-by-play announcer will be Victor Villalba, and that the station also will have a pre-game show starting at 3 p.m.
Those viewers who want an English language option can turn down the sound and listen to the game coverage on 105.3 FM (“The Fan”). Roughly 400,000 customers in the D-FW viewing area are affected by the ongoing Time Warner blackout, now in its third week. After 13 years of loyal service, WFAA8 meteorologist Steve McCauley is scheduled to sign off during the Sunday, Aug. 18th 10 p.m. newscast. He never became the station’s featured weathercaster, instead working weekends while also backing up Troy Dungan and then Pete Delkus. But no one was more ardent and enthusiastic about the weather, with the possible exception of former KTVT/KDAF meteorologist Bob Goosmann. McCauley’s forecasts were performance art without being over the top. He could bring a little sizzle to a drizzle while also throwing in a dry aside or two. In the video below, from a winter 2010 forecast, McCauley invites viewers to “look at that pathetic dew point. It’s only at 10.” He also offers a little treatise on how conflicting computer models can make it tough to gauge whether a severe storm pattern will hit D-FW hard at some point or pretty much bypass the area. As previously posted, McCauley has decided to pursue a Ph.D. degree full-time. So he’ll be off the air after Sunday’s late nighter, but will continue to “provide content on our digital platforms,” according to news director Carolyn Mungo. McCauley’s replacement, Ashton Altieri from ABC affiliate KXTV-TV in Sacramento, CA, joined WFAA8 this week and will take over the weather segments on the station’s weekend nighttime newscasts. Here’s a look at McCauley in action. Happy rainbows to him. 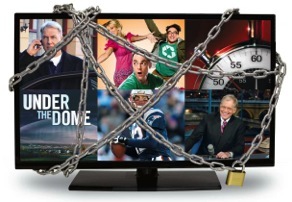 Week 3 of Time Warner’s blackout of CBS dawned not so brightly Friday morning. But in D-FW, the network woke up to a day with sunshine. CBS’ lineup of The Big Bang Theory, Two and a Half Men, Big Brother and Elementary swept the prime-time ratings in both total viewers and advertiser-prized 18-to-49-year-olds. Big Brother, the only non-rerun in the bunch, was prime-time’s most-watched TV attraction among 18-to-49-year-olds (89,303) while Big Bang had more total viewers (165,221) than anything else. CBS was helped by a Texas Rangers off day. And Friday night’s home game against Seattle will be blacked out on TXA21, which like CBS11 is owned by CBS corporate. Unless a settlement is reached, Saturday afternoon’s Dallas Cowboys-Arizona Cardinals pre-season game on CBS11 likewise will be unavailable to Time Warner cable subscribers without other means of pulling in broadcast signals. The game also is airing live on the NFL Network, which will be blacked out in D-FW according to NFL rules to protect the local station’s investment. Area sports bars again will welcome all with open arms -- unless they rely solely on Time Warner. The blackout affects roughly 400,000 subscriber homes and businesses in the D-FW viewing area. Elsewhere Thursday night, ESPN’s NFL pre-season game between the Bears and Chargers drew 75,726 total viewers. WFAA8 ran the table at 10 p.m. in both total viewers and 25-to-54-year-olds, the main advertiser target audience for news programming. Fox4 likewise swept the 6 a.m. competitions and added a 6 p.m. win among 25-to-54-year-olds. WFAA8 had the most total viewers at both 5 and 6 p.m. NBC5 nipped WFAA8 at 5 p.m. in the 25-to-54 demographic. The first-place Texas Rangers got late home starts on both Tuesday and Wednesday against the last-place Milwaukee Brewers. But the rain and the lowly opposition didn’t deter viewers. Wednesday night’s game, a 5-4 win that ended at 10:55 p.m., averaged 178,989 D-FW viewers on Fox Sports Southwest. Prime-time’s runner-up, a 7 p.m. episode of CBS’ Big Brother, drew 172,105 viewers while NBC’s 8 p.m. hour of America’s Got Talent ran third with 151,452 viewers. BB finished a dominant first among advertiser-prized 18-to-49-year-olds, though, with the Rangers pulling in second. On Tuesday night, the Rangers’ 5-1 loss to Milwaukee averaged 192,758 total viewers to tie a two-hour America’s Got Talent for the top spot. But Talent almost doubled the Rangers’ numbers in the 18-to-49 demographic. Tuesday -- CBS11 had the most total viewers at 10 p.m. while WFAA8 ran first among 25-to-54-year-olds, the main advertiser target audience for news programming. Fox4 and WFAA8 tied for first in both ratings measurements at 6 a.m. The 6 p.m. golds went to WFAA8 in total viewers and Fox4 with 25-to-54-year-olds. Fox4 and NBC5 tied for the most viewers at 5 p.m., with WFAA8 drawing the most 25-to-54-year-olds. Wednesday -- WFAA8 took the top spot in total viewers at 10 p.m., but Fox4 had the edge with 25-to-54-year-olds. WFAA8 rolled to two uncommonly big wins at 6 a.m. and also swept the 5 and 6 p.m. competitions. That left the station just one win shy of an exceedingly rare double grand slam in the four principal four-way competitions. 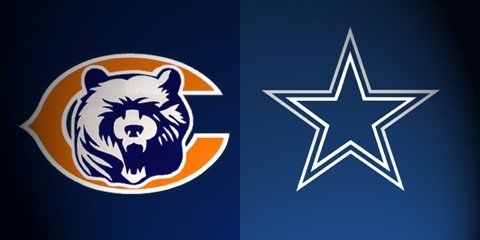 The Dallas Cowboys will travel to Chicago to meet the Bears on Dec. 9th in what could be a pivotal game in determining their playoff hopes. ESPN has the game nationally on Monday Night Football. And in case you haven’t heard yet, the broadcast station rights in D-FW have been won locally by little KTXD-TV (Ch. 47). It’s a major step up for the Dallas-based, London Broadcasting-owned station, which will simulcast the ESPN presentation. The NFL still mandates that games originating on cable networks also be available on “free” stations in the two teams’ home markets. This will mark the first time that KTXD has secured such rights. KTXD also has an ESPN package that this season includes some SMU football games. Meanwhile, KTXD is readying a locally produced “marathon” tied to the 50th anniversary of the Nov. 22, 1963 assassination of President John F. Kennedy in Dallas. It would air on that day. Phil Hurley, executive vice president of London Broadcasting (which owns KTXD), says the station is “still putting the plan together” and isn’t ready to release further details. But sources say the elongated, single-day telecast will include contributions from a number of “pundits” currently seen on KTXD’s baby boomer-aimed The Texas Daily program. All but a few were among the living on that day. Under current plans, the marathon also would be syndicated to London Broadcasting’s other owned-and-operated stations in Texas. According to the company, the stations reach 41 percent of the Texas population. D Magazine’s initial visions of a local TV empire have turned into sand castles with Monday’s announcement that it no longer will be a part of KTXD-TV’s (Ch. 47) centerpiece morning show. D: The Broadcast, airing from 9 to 11 a.m. weekdays on KTXD, indeed will drop the D from its title after the Sept. 20th telecast. But that’s not the big story, Dallas-based London Broadcasting executive vice president Phil Hurley said in a telephone interview Tuesday morning. London Broadcasting, owner of KTXD and stations covering 7 of Texas’ 19 TV markets, will immediately begin syndicating The Broadcast on Sept. 23rd, Hurley said. Also, a few extra hosts likely will be added beyond the current foursome of Lisa Pineiro, Suzie Humphreys, Pat Smith and Courtney Kerr. KTXD intends to add at least one male voice to The Broadcast, which also will air on London Broadcasting-owned stations in Waco, Tyler, Abilene, San Angelo, Beaumont and Corpus Christi. The station’s The Texas Daily (currently airing at 6 p.m. and repeated at 9:30 p.m.) also will be syndicated in those markets, Hurley said. The Monday through Friday D-FW Nielsen ratings show Texas Daily drawing at least a minimal audience on most days while D: The Broadcast almost always registers “hashmarks” (no measurable viewership). In Monday’s rating, D: The Broadcast had hashmarks in total viewers and in women aged 18 to 49 and women 25 to 54. Texas Daily, which rotates a group of seasoned “pundits” (led by former WFAA8 mainstays Tracy Rowlett and Troy Dungan), had 5,507 total viewers for the 6 p.m. first-run hour and 2,065 viewers for the 9:30 p.m. repeat. It had no measurable audience, however, in the two principal female demographic groups. Hurley said that KTXD has always paid all salaries and expenses associated with D: The Broadcast. So he was a “little confused” by a “D: The Broadcast, R.I.P.” post on the magazine’s FrontBurner blog by D senior writer and former chief editor Tim Rogers. Hurley said that D never paid a nickel for D: The Broadcast but did promote the show in a partnership that was supposed to benefit both parties. KTXD, an affiliate of the ME-TV network, still primarily has a menu of evergreen TV series aimed at older baby boomer viewers. Texas Daily is targeted directly at that audience, but D: The Broadcast continues to be an odd demographic fit. The program initially followed Daniel Boone reruns on KTXD when it premiered on Feb. 18th with next to no promotion. An earlier failed D television program -- D Living -- copied WFAA8’s Good Morning Texas approach by selling paid segments to advertisers who then came on the show to pitch their products in interview settings. But KTXD later abandoned that approach. “We try to shy away from being the Channel 8 show,” Hurley said, contending that viewers eventually tire of seeing strings of mini-informercials. GMT has continued in that vein, even with the recent addition of former WFAA8 news room staffer Mike “Why Guy” Castellucci as a co-host. Tuesday’s program included “Promotional Consideration” in-show segments for WinStar World Casino, Southland Allergy and Asthma, and the Center For Spine Care. But GMT also has something D: The Broadcast usually doesn’t: measurable Nielsen ratings. Competing directly with the first hour of the KTXD program, GMT drew 55,074 total viewers Monday to finish second in the 9 a.m. hour behind the third hour of NBC’s Today Show, which had 82,610 viewers. And GMT tied for first place at 9 a.m., with Fox4’s syndicated Kelly & Michael, among advertiser-prized 18-to-49-year-olds. Hurley figures that The Broadcast in syndicated form can only improve its revenue picture by being available to 41 percent of Texas homes via London Broadcasting stations. KTXD also has big plans for Texas Daily, which besides Rowlett, Dungan and Humphreys includes host Jeff Brady and rotating “pundits” John Criswell, Iola Johnson, Scott Murray, Debbie Denmon, Midge Hill, Gary Cogill, Phyllis Watson, Jolene DeVito, Robert Riggs and John Sparks. “We’re in the process of negotiating with them right now,” Hurley said. “We hope all of ‘em are back” when Texas Daily is syndicated. Rowlett,, who generally appears on the Monday and Tuesday editions with Dungan, would be a basically essential ingredient in Texas Daily’s expansion plans. And after some initial reservations and an inclination to fully retire, Rowlett says he’s now inclined to stick around. The Texas Daily premiered on October 1st of last year as KTXD’s first major locally produced program. The D Magazine partnership is now in its lame duck stages, but the station otherwise is spreading its wings and managing to stay airborne while readying a new and ambitious flight plan. CBS11 bucked the Time Warner blackout Monday night, with a new episode of Under the Dome easily winning its time slot while the station also logged its first 10 p.m. newscast win since the two parties went to war. Dome averaged 275,368 D-FW viewers in the 9 p.m. hour, up from the previous Monday’s 247,831 during the first full week of the blackout. That portion of ABC’s three-hour CMA Festival ran second with 165,221 viewers from 9 to 10 p.m.
Dome also was Monday’s No. 1 performer among advertiser-prized 18-to-49-year-olds with 121,197 viewers. CMA Festival handily won prime-time’s first two hours in this key demographic but slipped to second place opposite Dome with 86,114 viewers. Over on Fox Sports Southwest during daytime hours, the Texas Rangers drew smallish numbers with their win over Houston despite pitcher Yu Darvish’s flirtation with a perfect game. The plate umpire’s obviously blown third strike call ended up giving the Astros their first baserunner with two-hours in the 6th inning. The eventual 2-1 Rangers victory, with Darvish striking out 15 and allowing one hit in 8 innings, averaged just 96,379 viewers. But that number does not reflect any workplace viewing. NBC’s new summer series Siberia remained in a ratings quarry with a sub-measly 27,537 viewers at 9 p.m. But prime-time’s least-watched network attraction was an 8:30 p.m. rerun of Fox’s The Mindy Project (20,653 viewers). CBS11 held on to much of its lead-in audience from Dome to win at 10 p.m. in total viewers. WFAA8 ran first among 25-to-54-year-olds, the main advertiser target audience for news programming. Fox4 resumed its winning ways at 6 a.m. with a doubleheader sweep while WFAA8 took both newscast golds at 5 p.m. The two stations tied for first at 6 p.m. in total viewers, with Fox4 alone on top with 25-to-54-year-olds. CBS can afford to play a waiting game. Time Warner cannot -- particularly in the Dallas-Fort Worth viewing area. One doesn’t have to take sides to realize that the clock is ticking on the nation’s second largest cable operator (a reported $7.65 billion in revenues over the past year) in its battle against the nation’s most-watched television network ($3.65 billion in revenues over the same period). As the Time Warner blackout begins its second week, let’s look at the cable giant’s predicament. No one in their right mind (presumably) is going to switch or sign on to Time Warner because it DOES NOT have CBS. Why in the world would you do that? But people will find a way to watch CBS -- whether pulling it in old-school via an antenna or converter, dumping Time Warner or going to a non-Time Warner venue to see their favorite programming. The situation is particularly acute in D-FW, where Time Warner has roughly 400,000 subscribers among the just over 3 million being affected nationwide. For sports fans, it’s a virtual Armageddon this weekend. On Friday, August 9th, the Dallas Cowboys’ second pre-season game at Oakland is being carried on CBS11, starting at 9 p.m. Time Warner customers will be blocked from watching it, and the game also will be blacked out on the NFL Network in D-FW to protect the local station’s payment for home market exclusivity. The final two rounds of golf’s last major championship -- the PGA -- also are being carried by CBS. Consider them blacked out if you’re a Time Warner subscriber. Plus, for the second straight Sunday night, Showtime’s Dexter and Ray Donovan will be unavailable in Time Warner homes. And you can’t rope in a premium cable network with an antenna. Most observers expect Time Warner and CBS/Showtime to resolve their impasse before the NFL’s regular season kicks off. But in Cowboys-crazy D-FW, the team’s last three pre-season games -- against Arizona, Cincinnati and Houston -- also are being carried by CBS11. Blackout, blackout, blackout unless an agreement is reached. Simply put, CBS wants Time Warner to pay more money to carry its programming. The network reportedly is asking for an increase from $1 to $2 per subscriber each month, although Time Warner keeps saying that CBS is demanding an “outrageous” 600 percent increase. ESPN gets more than $5 a month per subscriber from Time Warner, according to industry reports. Time Warner says it wants to hold down monthly cable bills by thwarting greedy over-the-air broadcasters like CBS. Excuse me while I double over with laughter. In Los Angeles, benevolent Time Warner is on the receiving end of a class action suit. Why? Because it bought the TV rights to both the Los Angeles Dodgers and Los Angeles Lakers, took them off the CBS-owned KCAL-TV, put them on its own channels and now is charging $4 extra per month for each of these channels. Those fees are added to monthly cable bills whether subscribers watch the games or not. Well, not quite. Under a deal with TBS, CBS will still have college basketball’s final championship game in 2014 and 2015. After that, the two networks will alternate the Final Four, with TBS getting the rights in even-numbered years and CBS in odd-numbered years. Beyond that, CBS didn’t create a separate network for the Final Four. TBS in fact is the granddaddy of cable networks, and has an ample programming menu beyond basketball. CBS’ summertime programming is more potent than usual this time around, with Under the Dome joining Big Brother as one of the hot weather season’s star attractions. Still, things may not really heat up in the Time Warner-CBS standoff until the NFL season begins, followed soon thereafter by the start of the new fall TV season. By that time, Time Warner may well find itself begging CBS to make a deal, any deal. The network already holds most of the cards. And by early September they’ll all be aces. CBS’ Big Brother racked up Thursday’s biggest prime-time audiences despite an ongoing Time Warner blackout affecting roughly 400,000 subscribers in the D-FW viewing area. On a night when the red-hot Texas Rangers were off, BB drew 192,758 viewers in the 8 p.m. hour while also pulling in a night’s best 118,008 viewers in the key 18-to-49 demographic. CBS also had the most total viewers from 7 to 8 p.m. with repeats of The Big Bang Theory and Two and a Half Men while Fox4’s 9 p.m. local newscast was the top draw at 9 p.m. Big Bang and Fox4’s news also led with 18-to-49-year-olds, but the second half of ABC’s Wipeout dethroned Two and a Half. After virtually no audience the night before, CW33’s 9 p.m. Nightcap comedy news had one of its better showings Thursday with 48,189 total viewers. But that still put it in fifth place far behind Fox4’s front-running news (158,337 viewers). In Thursday’s four-way local news derby results, WFAA8 swept the 10 p.m. competitions with wins in total viewers and 25-to-54-year-olds, the main advertiser target audience for news programming. Fox4 ran first in total viewers at 6 a.m., but NBC5 and WFAA8 tied for the top spot with 25-to-54-year-olds. Fox4 retaliated by running the ratings table at both 5 and 6 p.m.
CBS11’s new 11 a.m. local newscast, kicking off on Monday, Aug. 12th, will use the station’s early morning team of Brendan Higgins, Adrienne Bankert, Whitney Drolen and incoming meteorologist Scott Padgett, who starts on Sept. 16th. Incumbent Jeff Jamison will fill in until then. As previously posted, Jeopardy! will relocate from 11 a.m. on CBS11 to 6 p.m. on sister station TXA21. “Encore” episodes of the evergreen game show precede it at 5:30 p.m.
TXA21 also will debut two new court shows from a seemingly inexhaustible supply of ‘em. Paternity Court gets the noon slot, starting Sept. 23rd. Supreme Justice with Judge Karen follows it at 12:30 p.m., beginning Sept. 16th. Also, TXA21’s weekend lineup will include the new weekly Local Fare, hosted by CBS11’s Teresa Frosini. Start date is Saturday, Sept. 7th at 5 p.m.
A publicity release for the half-hour program bills it as a “video pathway to the world of cuisine,” treating viewers to “great food inspiration while they learn about the latest trends and the most compelling restaurants the Metroplex has to offer.” The show is from Phillips Productions of Dallas, whose president and CEO is longtime Texas Country Reporter host Bob Phillips. Peaking before petering out as the game went on and on (and on), the Texas Rangers’ road sweep of the Angels hit Wednesday’s biggest ratings high. Stretching until nearly 1 a.m. on Fox Sports Southwest., the three hour, 51 minute game peaked opposite D-FW’s late night local newscasts, drawing 296,021 viewers between 10 and 10:30 p.m. But the game’s final minutes dipped to 82,610 viewers. Final score: Rangers 10, halo-less Angels 3. The 9 to 10 p.m. portion of Rangers-Angels beat all competing prime-time programming with an average of 234,063 viewers. CBS’ Big Brother won the 7 p.m. hour with 192,758 viewers and NBC’s America’s Got Talent ran first from 8 to 9 p.m. with 261,600 viewers. The results were the same across the board among advertiser-prized 18-to-49-year-olds. In the have-not division, D magazine’s D: The Broadcast again registered “hashmarks” (no measurable audience) from 9 to 11 a.m. on Ch. 47. And CW33’s 9 p.m. Nightcap news barely registered with 6,884 total viewers. That total was matched by the 6 to 7 a.m. hour of the station’s Eye Opener. The program’s other two hours -- 5 to 6 and 7 to 8 a.m. -- had hashmarks. Here are the four-way local news derby results among Fox4, NBC5, WFAA8 and CBS11. WFAA8 stayed strong at 10 p.m. with wins among total viewers and 25-to-54-year-olds, the main advertiser target audience for news programming. NBC5 enjoyed the rare rarefied air of a doubleheader sweep at 6 a.m. against usual kingpin Fox4. The Peacock also notched a 5 p.m. first-place finish in total viewers and tied WFAA8 for the top spot with 25-to-54-year-olds. WFAA8 took the 6 p.m. gold in total viewers while Fox4 had the most 25-to-54-year-olds. NBC’s summertime pacesetter, America’s Got Talent, rolled up prime-time’s biggest audiences Tuesday with winning numbers from 8 to 10 p.m. Talent averaged 220,294 D-FW viewers while also calling the tune among advertiser-prized 18-to-49-year-olds. The first hour of Fox’s So You Think You Can Dance had the most viewers in both measurements from 7 to 8 p.m.
Over on Fox Sports Southwest, the Texas Rangers’ late night win over the Angels averaged 199,642 total viewers with peak crowds of 234,063 between 9:30 and 9:45 p.m. and 10 to 10:15 p.m. But AGT’s 9 to 10 p.m. portion edged that segment of the Rangers game by a score of 227,179 viewers to 213,410. NBC5’s 10 p.m. newscast, unaccustomed to much help from network lead-in programming, basked in the afterglow of AGT and had enough juice to win in both total viewers and 25-to-54-year-olds (main advertiser target audience for news programming). Win, that is, against rival newscasts on Fox4, WFAA8 and CBS11. The Rangers otherwise controlled that time period with 227,179 total viewers while NBC5 had 137,684. In Tuesday’s other local news derby results, Fox4 rolled to another pair of wins at 6 a.m. while WFAA8 swept the 6 p.m. competitions. NBC5 had the most total viewers at 5 p.m., with Fox4 running first among 25-to-54-year-olds. The D-FW viewing area’s roughly 400,000 Time Warner cable subscribers will have to find alternative ways to watch Friday night’s Cowboys-Raiders pre-season game unless the cable giant and CBS end their ongoing stalemate before then. CBS11 is airing the game locally and also is carrying the Cowboys’ three remaining exhibition games against the Arizona Cardinals, Cincinnati Bengals and Houston Texans. Also facing blackouts this weekend: Friday night’s Texas Rangers-Houston Astros game on sister station TXA21 and the climactic Saturday and Sunday rounds of the PGA Championship, which CBS will carry. The main beneficiary of all this may be area sports bars that get CBS via cable or satellite companies not named Time Warner. Private citizens without Time Warner connections may want to brace for visits by friends and relatives they haven’t seen in a while. WFAA8’s incoming Ashton Altieri and outgoing Steve McCauley. But here we go again, and with a few more details. The biggest change is at WFAA8, where veteran backup meteorologist Steve McCauley (who joined the station in March 2000) is leaving to pursue his Ph.D. full-time. McCauley, who has been working the station’s nighttime weekend newscasts, will sign off on Aug. 18th, news director Carolyn Mungo confirms. He had cut back from full- to part-time more than a year ago, but “recently came to us and said even part-time was becoming too much for him given his workload in school. Thus the change up,” Mungo said via email. But McCauley will continue to “provide content on our digital platforms,” she said. McCauley’s replacement is the very boyish looking Ashton Altieri, whose first day will be Aug. 14th. 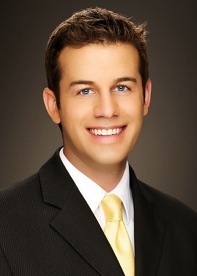 He arrives from ABC affiliate KXTV-TV in Sacramento, CA, where he was the weekday morning meteorologist for two years. Before that he spent six years at KUSA-TV in Denver. WFAA8 also confirmed that Julie Bologna has been upgraded from freelancer to on staff part-timer. She’ll be the station’s weekend morning weathercaster in place of Colleen Coyle, who as previously reported will be shifting to WFAA8’s new weekday 4 p.m. newscast, scheduled to start on Sept. 9th. In another WFAA8 development, former “Why Guy” Mike Castellucci is back at the station after five years with KUSI-TV in San Diego. He recently began co-hosting WFAA8’s 9 a.m. Good Morning Texas program with holdovers Amy Vanderoef and Carrie McClure. Castellucci also will “be featured on other broadcasts,” according to a WFAA8 publicity release. CBS11 veteran Carol Cavazos is the latest reporter to opt for a PR position. She is now the director of media development for Streams Ministries International after joining the station in 2006. 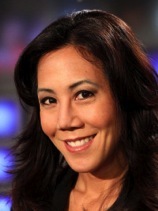 Another vet, Fox4 reporter Lynn Kawano, has told station management she’ll be leaving in September to return to her native Hawaii. Kawano has been with Fox4 since 2004. Meanwhile, the station has bolstered its sports staff with the hiring of Edward Egros from WHNT-TV in Huntsville, Alabama, where he spent three years. He’s now officially on board at Fox4, joining long-timers Mike Doocy and Max Morgan. CBS11’s new half-hour 11 a.m. newscast is set to premiere on Monday, August 12th. The incumbent program, Jeopardy!, will move to sister station TXA21, airing at 6 p.m. Despite the imminent premiere of the newscast, its anchors are still To Be Announced, the station says. The D-FW radio market also suffered a huge loss when Kidd Kraddick died at age 53 of cardiac disease while playing in a charity golf tournament in New Orleans on behalf of Kidd’s Kids. Kraddick also was one of the featured hosts on the syndicated Dish Nation TV program, which airs at 12:30 p.m. weekdays on Fox4. A private funeral service for Kraddick was held on Friday at the Most Blessed Sacrament Catholic Church in Dallas. He had been a star radio personality in D-FW since 1984, with a home base of KISS-FM. Here is video of Kraddick’s colleagues remembering him during an interview with WFAA8’s Dale Hansen. The Dallas Cowboys’ 2013 pre-season opener upped its D-FW audience from last year’s with far more scoring and a “Hall of Fame” game gloss. Dallas’ 24-20 win Sunday night on NBC averaged 695,304 total viewers. The 2012 pre-season debut, a toothless 3-0 victory over Oakland, drew a combined 629,002 viewers locally on CBS11 (447,091) and ESPN (182,901). The Texas Rangers otherwise paced the weekend Nielsens with their big series at Oakland. Friday night’s win on TXA21 averaged a decent-sized 206,526 viewers in late night hours despite a Time Warner blackout that affected the CBS11 sister station. TW has roughly 400,000 subscribers in the D-FW viewing area, and the game was unavailable to them on CBS-owned TXA21 unless they roped it in by antenna or other means. Saturday’s loss at Oakland ballooned to 240,947 viewers on Fox while Sunday’s win over the A’s weighed in at 192,758 viewers via cable’s Fox Sports Southwest. The Rangers also won on Monday, defeating the Angels in late night hours while 178,989 viewers watched on FSS. CBS’ Under the Dome remained strong in D-FW despite the blackout. Monday’s 9 p.m. episode had a timeslot-winning 247,831 viewers in beating ABC’s “After the Rose” edition of The Bachelorette (192,758). It followed the show’s two-hour season finale (199,642 viewers to win from 7 to 9 p.m.). Under the Dome and “After the Rose” tied in the 9 p.m. hour among advertiser-prized 18-to-49-year-olds, each with 95,682 viewers in this key demographic. The Bachelorette dominated all programming from 7 to 9 p.m. in the 18-to-49 demo. NBC’s new summertime series Siberia lived up to its name with ice cold ratings. Just 27,537 total viewers watched in the 9 p.m. hour and only 9,568 of them were 18-to-49-year-olds. NBC5’s 10 p.m. local newscast might be able to get equivalent lead-in numbers for a prickly heat telethon hosted by former anchor Mike Snyder under the assumed name of Lenny Lohan. Friday -- WFAA8 swept the 10 p.m. competitions in both total viewers and 25-to-54-year-olds, the main advertiser target audience for news programming. Fox4 notched another pair of 6 a.m. wins while adding a 5 p.m. gold in the 25-to-54 measurement. NBC5 had the most total viewers at 5 p.m. and led among 25-to-54-year-olds at 6 p.m. WFAA8 ran first in overall viewership at 6 p.m.
Monday -- WFAA8 again ruled at 10 p.m. with a pair of runaway wins. Fox4 had the edge in total viewers at 6 a.m. and tied NBC5 for the top spot among 25-to-54-year-olds. Fox4 ran the table at 5 p.m. and also ran first at 6 p.m. in the 25-to-54 demographic. WFAA8 had the most viewers at 6 p.m.